We get quite a few emails from readers asking why we focus so much on pro customs, and not backyard builds from talented amateurs. 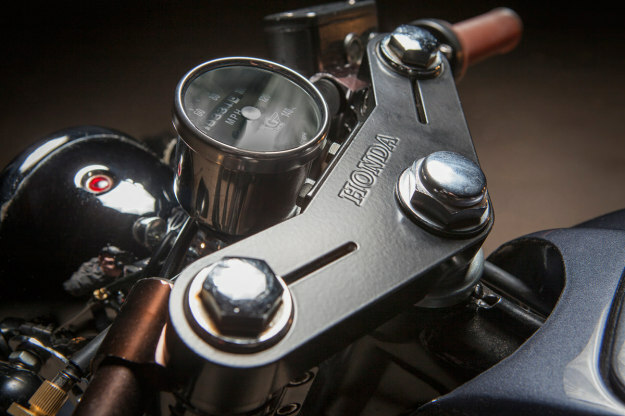 It’s partly because pro builders push the envelope more often, but it’s also because it’s much harder for amateurs to hit the sweet spot—which is a well-crafted build and fantastic photography. 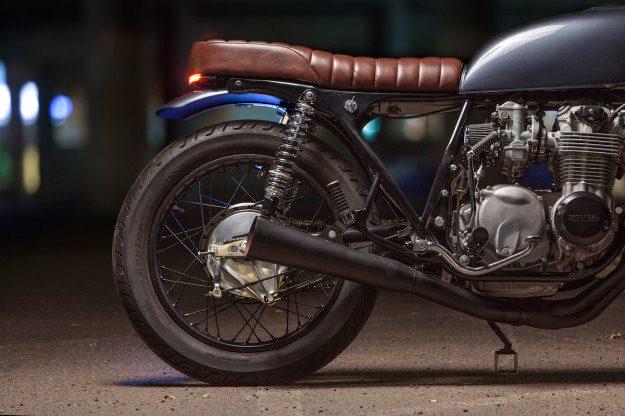 This Honda CB550 from Colorado-based Dave Lehl ticks both boxes. It helps that Dave is a photographer by trade, but he’s also got unusually good taste—knowing what to change, and what to leave alone. At that point, Dave’s father discreetly stepped in. He hit the pavement in his hometown of Pueblo, looking for a 70s street bike that had seen better days. 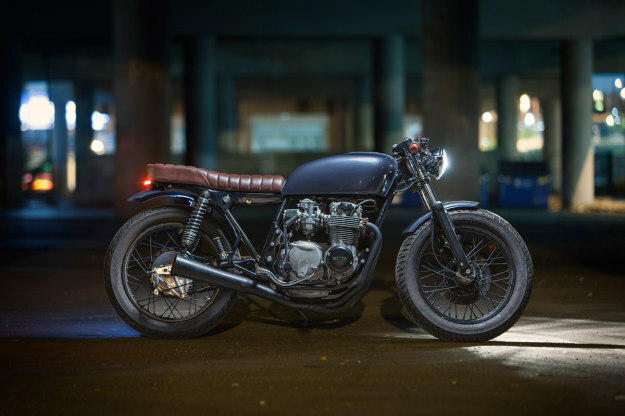 And when he came across a 1978 non-running Honda CB550, he snatched it up for $500 a week before Christmas. 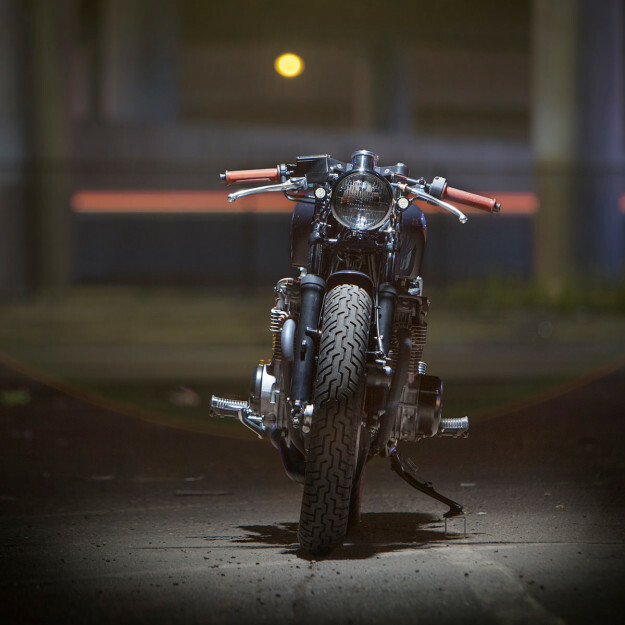 Since this was Dave’s first bike, he was cautious about what to cut off or modify. But over the next two years he tore it down and removed all the unnecessary tabs and the center kickstand, and ground down and recreated the worst of the factory welds. Dave then made a new seat pan, which hides a recessed battery box. There are few wires to be seen, and that’s how it likes it. But it’s the ultra-slim taillight that attracts the most questions. It’s tucked under the new seat unit, and above the rear fender, which is a modified wheel cover from a 1931 Ford Model A. 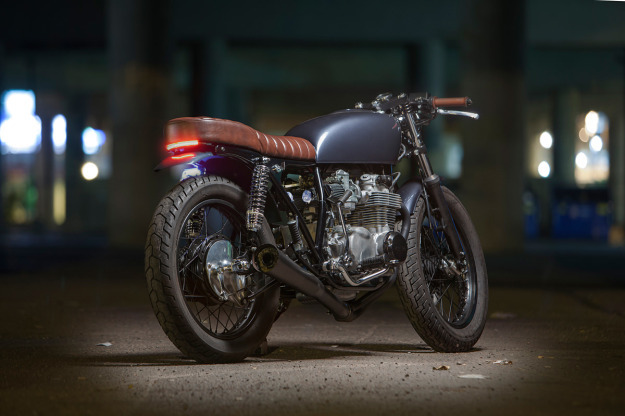 The rest of the CB550 is a classic home build: Dave did everything except for the paint, upholstering and wiring. To finish it off, he’s fitted clip-on bars, new shocks, new levers and new cables. And despite the shoestring budget, it looks just great. 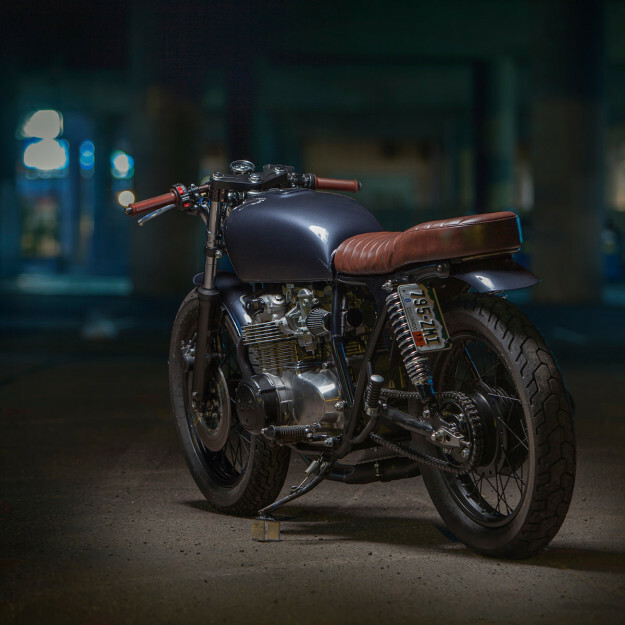 Dave’s now been bitten by the bug, and next on his list is a 1979 Kawasaki KZ650. “This one should take a few months rather than years, though,” he says. We’ll be keeping an eye out for it.